The Boryspil International Airport (Kyiv region) increased passenger flow by 15.2%, to 2.65 million people, in January-March 2019 compared to the same period in 2018, the company’s press service told Interfax-Ukraine. Some 2.42 million passengers used international flights (growth by 15.7%) and 232,100 passengers used domestic flights (growth by 9.3%). The airport serviced 21,898 flights during the period under review (growth by 8.3%), including 18,888 international and 3,010 domestic flights. During the first three months of 2019 the airport received and sent 2.24 million passengers on regular flights (22% more compared with Q1, 2018) and 415,900 passengers on unscheduled flights (11% less compared with Q1, 2018). The airport serviced 670,840 transfer passengers in January-March 2019, which is 5.8% more than during the same period in 2018. Transit passengers accounted for 25.3% of the total passenger flow. In March 2019, the Boryspil airport serviced 964,240 passengers, which is 15.6% more than during the first three months of 2018. In March, 881,500 passengers used international flights (growth by 15.9%) and 82,700 passengers used domestic flights (growth by 12.2%). In March, the airport serviced 7,648 flights (growth by 8.1%), including 6,582 international and 1,066 domestic flights. Boryspil International Airport is the main airport of Ukraine, occupying a total area of about 1,000 ha. The airport has two runways: one with a length of 4,000 meters and a width of 60 meters, and the second with a length of 3,500 meters and a width of 63 meters. Four passenger terminals, postal and cargo handling complexes are located on the territory of the airport. 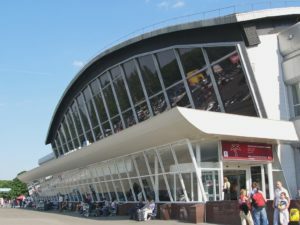 The Kharkiv International Airport serviced 83,400 passengers in March 2019, which is 42% more than during the same period in 2018, according to the company’s press service. The most popular destinations were Sharm el Sheikh, Istanbul, Kyiv, Wien, Warsaw, Dortmund, Wroclaw, Katowice, Gdansk, and Minsk. As reported, passenger traffic at the Kharkiv International Airport in February 2019 was 65,900 people, which is 23% more than in the same period of 2018. 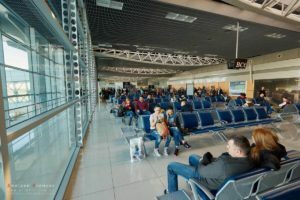 The Dnipropetrovsk International Airport increased its passenger flow by 12.4%, to 61,900 people, in January-March 2019 compared with the same period in 2018, according to a posting on the company’s website. The airport serviced 21,500 passengers in January, 18,970 in February, and 21,440 in March. Some 34,100 passengers used international flights and 27,810 people used domestic flights at the airport in Q1. 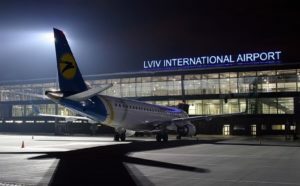 As reported, the Infrastructure Ministry of Ukraine supported the allocation of UAH 1 billion from the 2019 national budget for the construction of a new runway at the Dnipropetrovsk International Airport within the framework of a public-private partnership project under which a private investor would build a new terminal and put it into service in 2020. 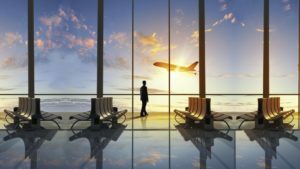 Ukrainian businessman, owner of the DCH Group Oleksandr Yaroslavsky, who had earlier invested in the renovation of the Kharkiv International Airport, has announced his plans to modernize the international airport in Dnipro. Dnipro Mayor Borys Filatov called on Ukrainian President Petro Poroshenko to influence the situation with the airport in Dnipro. The Dnipropetrovsk International Airport was founded in 1943. It became an independent enterprise in 2011. The airport is situated 5 kilometers southeastward from Dnipro.